When natural disasters happen they grab headlines around the world. People, creatures, and the environment are all impacted when nature gets out of control. Natural disasters can be upsetting to live through, but scientists today better understand their causes and how we can protect ourselves and others. 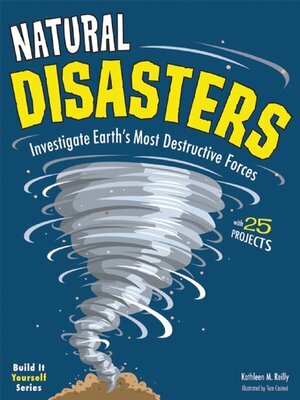 Natural Disasters: Investigate Earth's Most Destructive Forces with 25 Projects teaches readers about some of the natural disasters throughout history, what caused them, their impact on civilizations, and how people today cope with natural disasters. Readers of this book will make their own shake tables, create a cake batter lava flow, invent a wind tunnel, and experiment with avalanches. These hands-on activities engage readers and add depth to the text while ensuring that the learning is made lasting and fun.